As you surf through recipes online you find that a dish can be made in all kinds of ways. Trying to be as natural and gluten free as comfortable narrows the recipes down as you do the research to come up with a version of a dish that fits your needs. 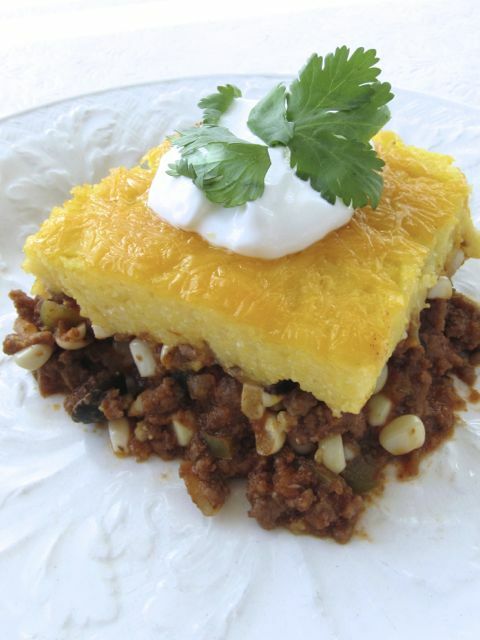 The topping for tamale pies can be made with part flour and with milk or buttermilk. 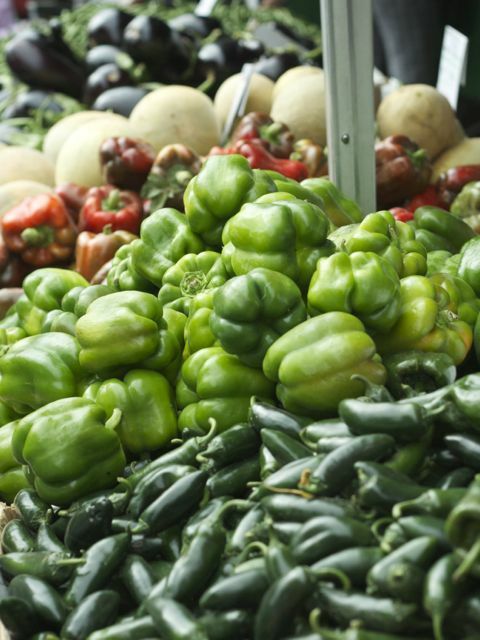 The pie filling can have a can of tomatoes, a jar of salsa or stuffed olives instead of black, and every kind of pepper, mild, medium and very hot. They are made with turkey, beef and pork and the amount of chili powder varies depending on how much heat people think makes the dish right for them. I was looking for a particular texture for the topping and one with part flour wasn’t right. 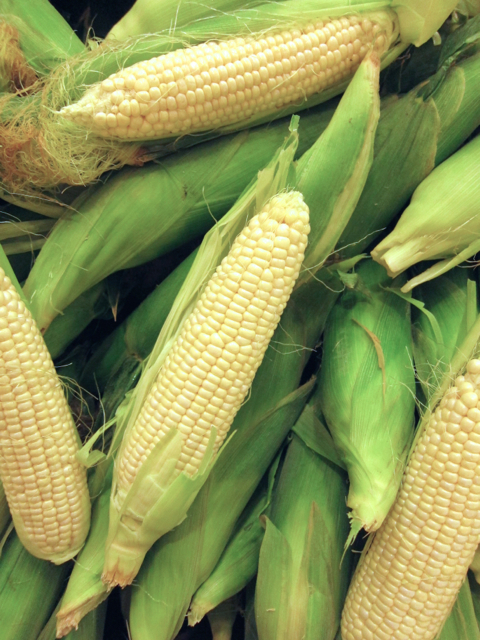 Using fresh corn instead of canned or frozen was a no brainer. I made the mistake of using a corn meal that was too coarsely ground and it didn’t get cooked. Alber’s Yellow Corn Meal that you find in the orange and blue box in the baking aisle works perfect. 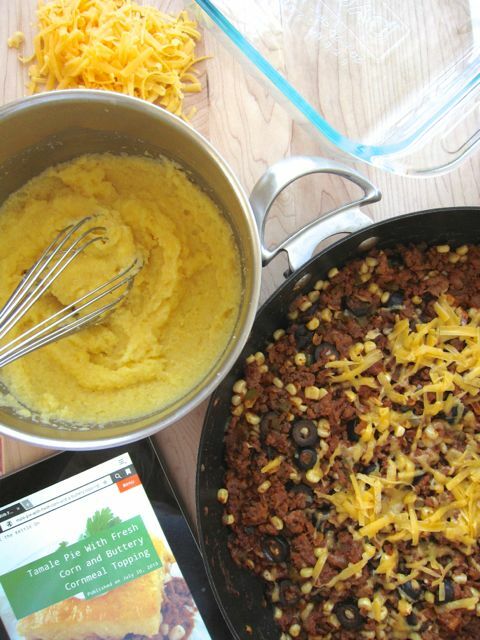 The topping for tamale pie can also be on the bottom. That would mean more carbohydrates from grains and less vegetables and meat. I would double this recipe and use a larger pan. This casserole is nice kept simple with just a salad or some cut up tomatoes. 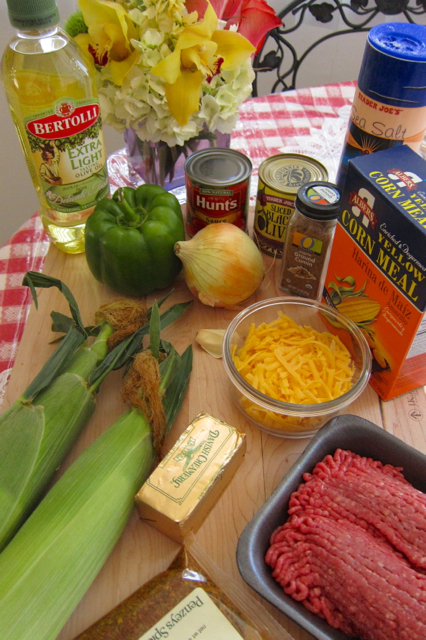 It’s also good served with Spanish Rice (below). Brown meat, breaking into small pieces, and set aside. Saute the onion, green pepper and garlic in olive oil for 5 minutes. Add chili powder and cumin and cook 1 minute. Add cooked meat, salt, pepper. olives, corn and tomato sauce and simmer for 20 minutes. Stir in 1/2 cup cheese. Spoon into a 8 x 8 pyrex casserole. Mix cornmeal, salt, and cold water together in a saucepan and cook over medium-high heat, stirring constantly, until thick. Remove form heat and stir in butter. Spread topping on meat filling and sprinkle with remaining 1/2 cup of cheddar cheese and bake in a 350 degree oven for 30-40 minutes. Let rest 5 minutes. Serve with sour cream and fresh cilantro. Preheat oven to 350 degrees. Rinse rice and dry on paper towels. Spread on a cookie, set in the oven and turn oven off. Let dry in oven for 30 minutes. 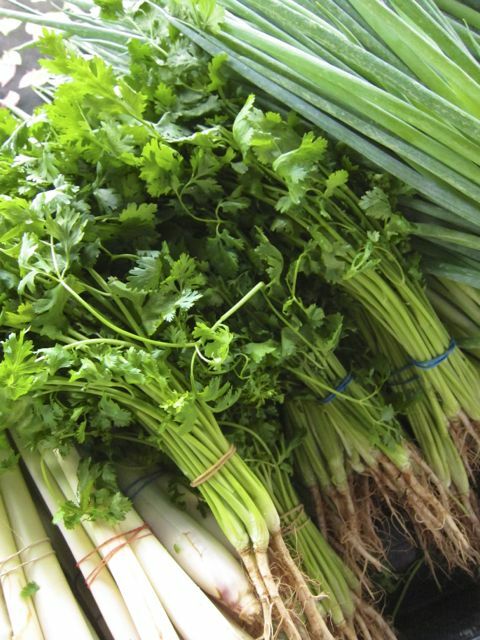 Cut the white part only of the green onions and put with the chopped jalapeño and garlic. 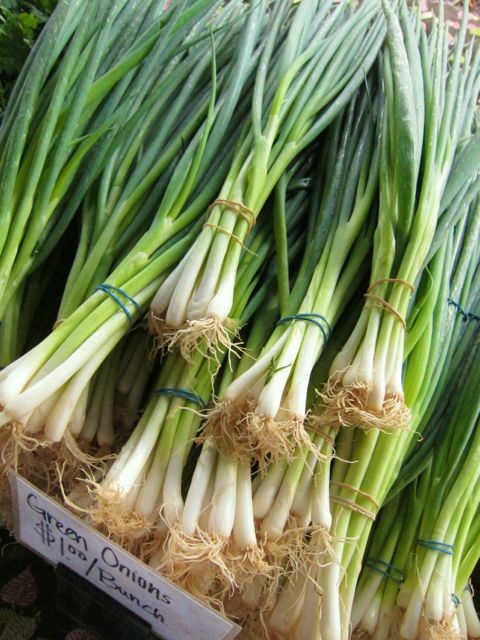 Chop green onion tops and set in a dish in the refrigerator. Melt butter in a saucepan with tight fitting lid on medium heat. Add rice and stir to coat all the kernels (this will keep the rice kernels from sticking to each other.) Add the green onion whites, jalapeño and garlic. Saute for 5 minutes. Add the cumin, paprika and salt and sauté 30 seconds. Add the chicken broth and tomato paste. Stir until blended. Bring to boil, reduce heat, cover and cook for 35 minutes. Do not disturb lid. Remove from heat, keeping tightly covered and lest rest for 10 minutes. Fluff rice with a fork. Sprinkle with reserved green tops.